Perfect Multi-Purpose Drawer Wardrobe Organiser. 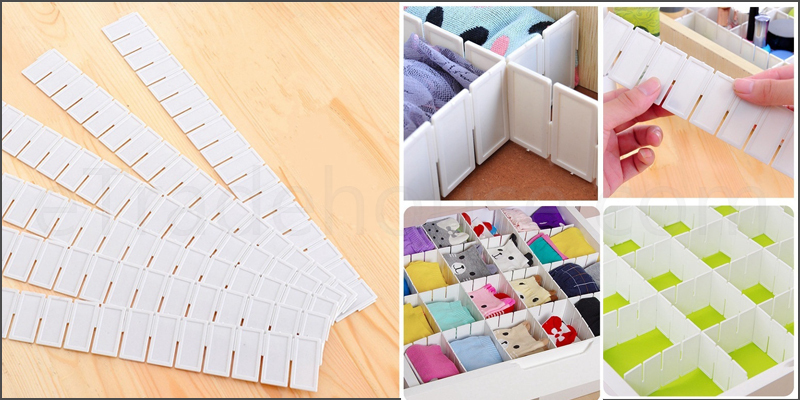 These Drawer Separators can be used for tidying and classifying household kitchen items too. Smooth hand scraping plate will not scratch any items. Practical storage separator, high storage drawer classification with 5cm separator. Material: High Quality Thick plastic.